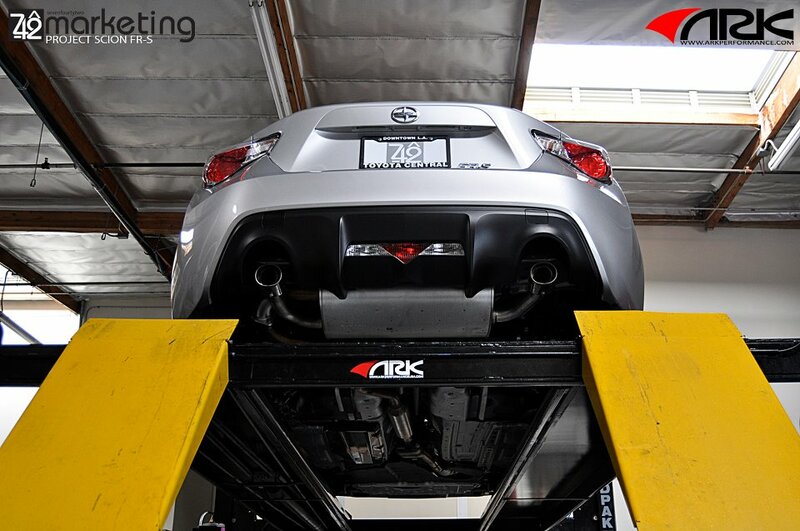 Improve the power under your hood and add an aggressive exhaust tone to your Scion FR-S / Subaru BRZ with an ARK GRIP Exhaust System. 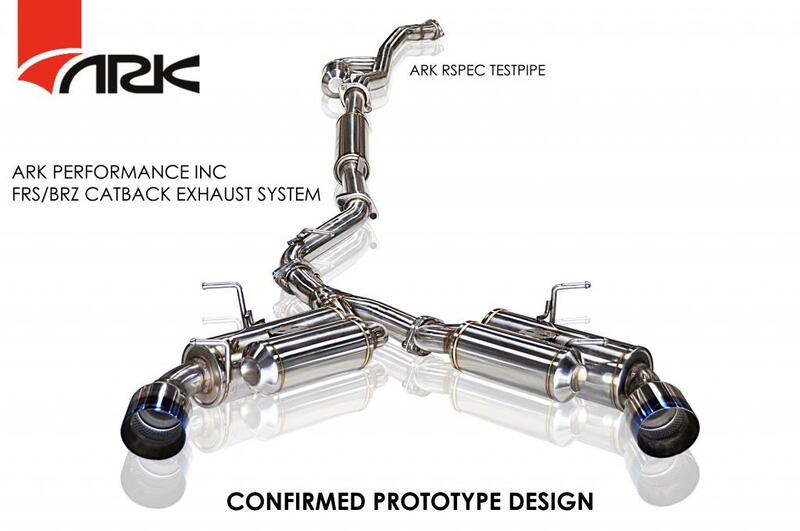 The ARK "GRiP" exhaust system provides the serious enthusiast a combination of sound, style, and quality craftsmanship. 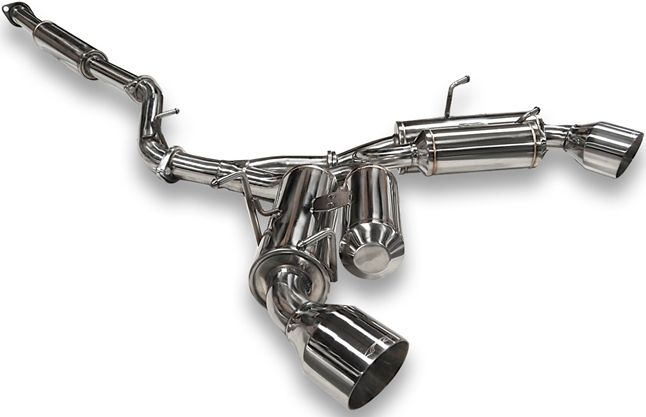 Each ARK exhaust system is engineered to sound like a symphony, at least to all enthusiasts. Make the rear end of your car stand out with the 4.5" tips and aggressive exhaust tone. 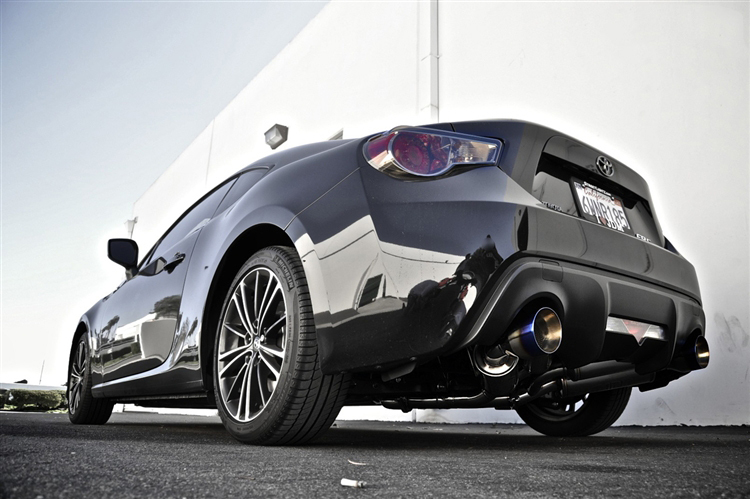 Maximize the power and the aggressiveness of your engine with an ARK GRIP Exhaust for Scion FR-S / Subaru BRZ. 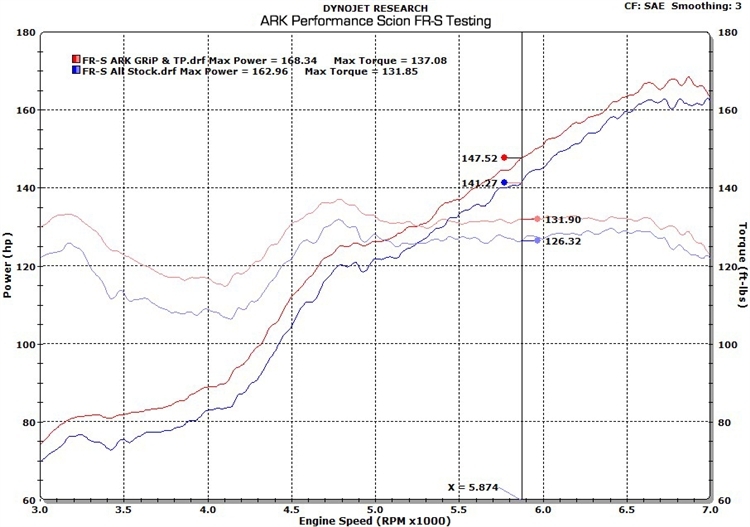 ARK Performance spent countless hours on R&D to perfect the design and the development of this exhaust exclusively for your vehicle. ARK's GRIP Exhaust product line offers car enthusiasts a rare combination of top quality material and superb craftsmanship. 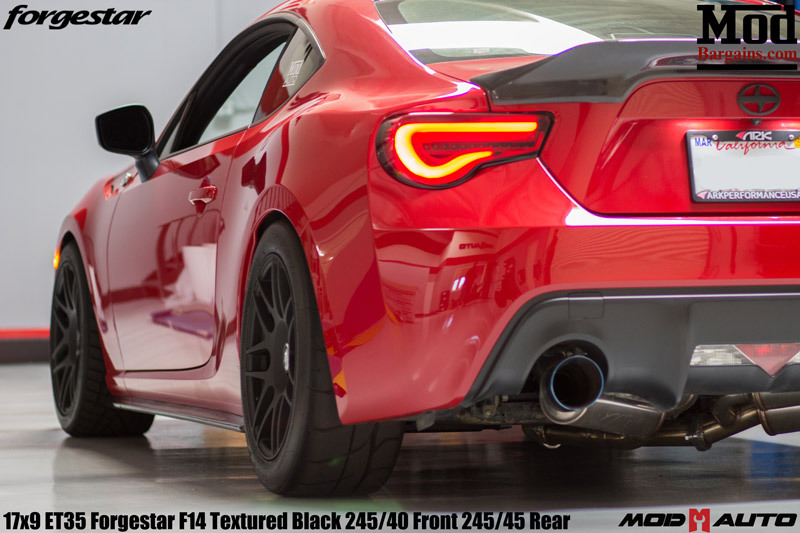 The ARK GRIP Exhaust for Scion FR-S / Subaru BRZ features mandrel-bent stainless steel piping for maximum exhaust flow and reduced back pressure. Performance being the main focus, this exhaust display its full capabilities whether your engine is stock or fully modified. 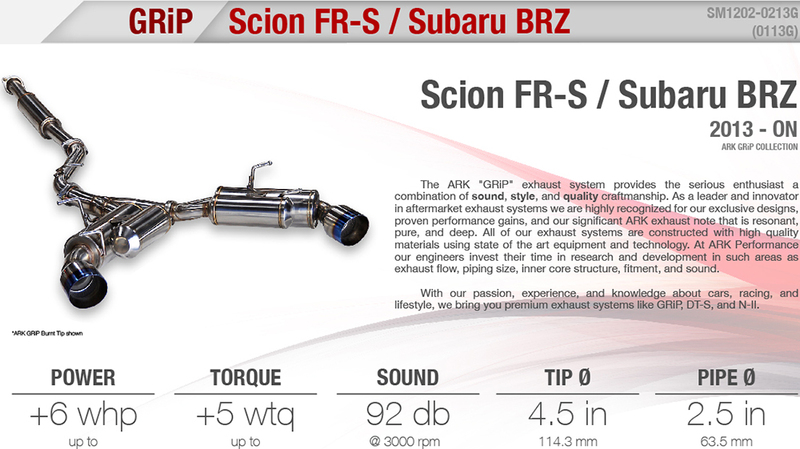 Improve airflow and give your engine an aggressive tone with this ARK Exhaust for Scion FR-S / Subaru BRZ.